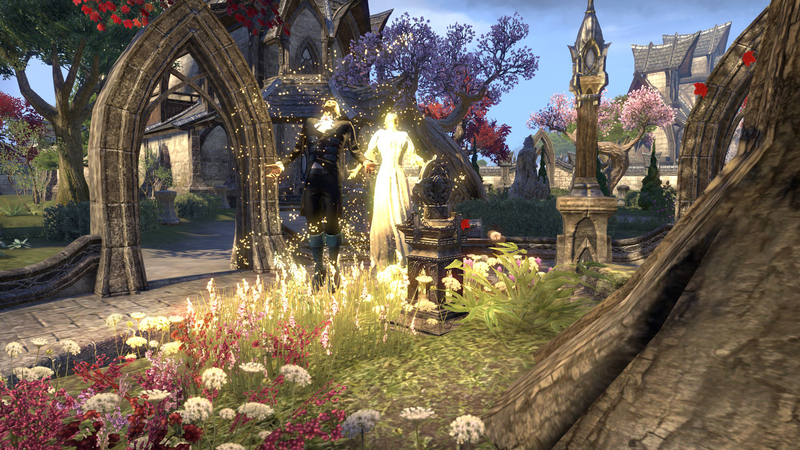 The Elder Scrolls Online Guild had its first wedding on Friday which saw Blu Cry and Emma G tie the not for extra XP. They are also real life husband and wife and very new members only joining last week. It is such a pleasure to have them join us. Everyone from Eternal Dawn congratulates them and we are looking forward to the happy couple levelling up [with no arguing] and joining some of the other members with the end game content.